As they say, faith can move mountains. If not move, it can surely make you climb them. On September 8, 2017, G.R. Radhika became the first Indian woman to scale Mount Elbrus, the highest mountain in Russia and Europe, through the toughest route. But this isn''''''''t the first peak she has conquered. She has already climbed Mt. Everest, Mt. Kilimanjaro, Mt. Kosciusko, Mt. Golep Kangri, Mt. Menthosa and Mt. Kun. What makes her achievements distinguishable is the fact that she managed to do all of this with a family and a job. So, here''''''''s Radhika''''''''s story of faith and passion. Radhika, who is currently serving as the Chittoor District Additional Superintendent of Police, comes from an ordinary middle-class family. Both her parents are from the teaching profession. "At our home, my brother and I were raised as equals. My parents always encouraged both of us to do whatever we wished to. I owe everything I have achieved to them," says Radhika. She had her first euphoric moment on Mt. Kailash in 2012. "That was the first time I felt an unexplained attraction to the mountains. And since then, I''''''''ve never looked back," says Radhika. "Besides, I have always actively participated in outdoor, fitness programs," she adds. Radhika attended a basic mountaineering course at Jawahar Institute of Mountaineering at Pahalgam, which is located in Jammu Kashmir. Although climbing Mt. Everest wasn''''''''t that expensive, the Mt. Elbrus expedition cost her a whopping Rs 32 lakhs. And as a government employee, approaching a private sponsor was not an option. To complete the feat, she borrowed some equipment from the Indian Mountaineering Federation (IMF). Additionally, she revealed that all her expeditions were funded by the government. After completing her Master''''''''s degree in English, Radhika worked as a government lecturer for a while. "My parents didn''''''''t approve of my marriage as my husband doesn''''''''t belong to our caste. But with time, they have come to respect and understand my decision." Radhika and her husband are blessed with two boys. Of her family, she says, "I couldn''''''''t have achieved so much without their constant support." In the beginning, it didn''''''''t seem very difficult for Radhika to follow her passion. 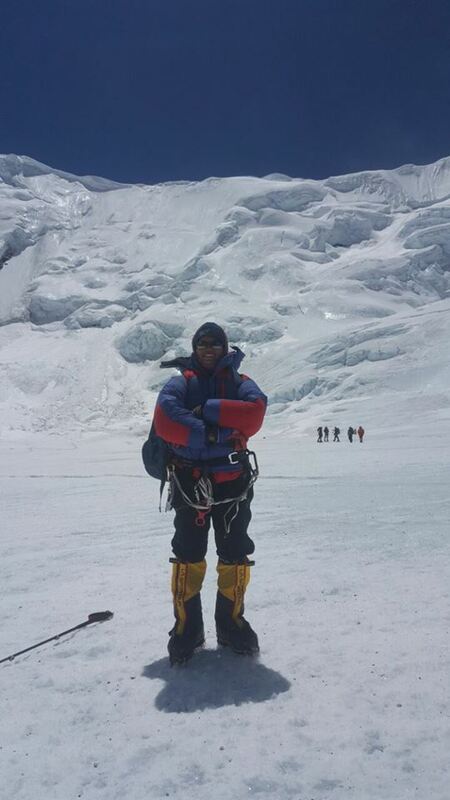 "When I started mountaineering, I was in police training college. But when I became an officer, I barely had an hour or two to focus on my fitness," she says. Fortunately, her colleagues encouraged and supported her, making it easier for Radhika to follow her passion and fulfil her duty, simultaneously. Radhika says her most challenging moment throughout her mountaineering experience came when she climbed Mt. Kun. "It was my first 7000-meter peak, and I was the only woman in a team of five," says Radhika. One by one, every member from the team dropped out. The only ones who dared to move forward were Radhika and a robust, six-foot, two-inch American man. "I thought if he can attempt to climb an Indian peak, then why can''''''''t I," she adds. Another major concern on her expeditions has always been food. "I am a pure vegetarian and food often becomes a problem, especially on foreign peaks," says Radhika. 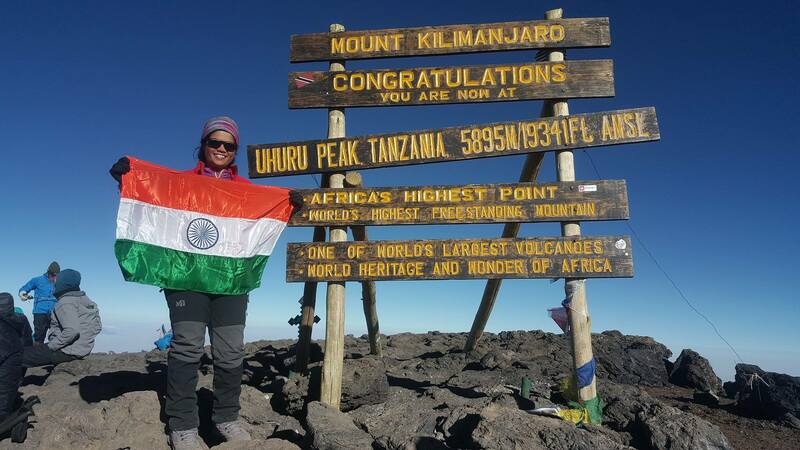 The next thing on Radhika''''''''s long list of achievements is to complete the Seven Summits challenge. But that’s not all she hopes to accomplish. "A few years down the line, I would also like to start an orphanage," says Radhika. Radhika believes that if you feel passionate about something and have a strong will-power, then you can achieve anything, no matter how tough it may seem. "Passion has nothing to do with gender. Women should be forthright about their dreams and not shy away from working towards them," she says. Radhika is living proof that there is probably a mountain stopping us from doing something extraordinary with our lives. But if we have faith in ourselves and determination, we can easily conquer it.